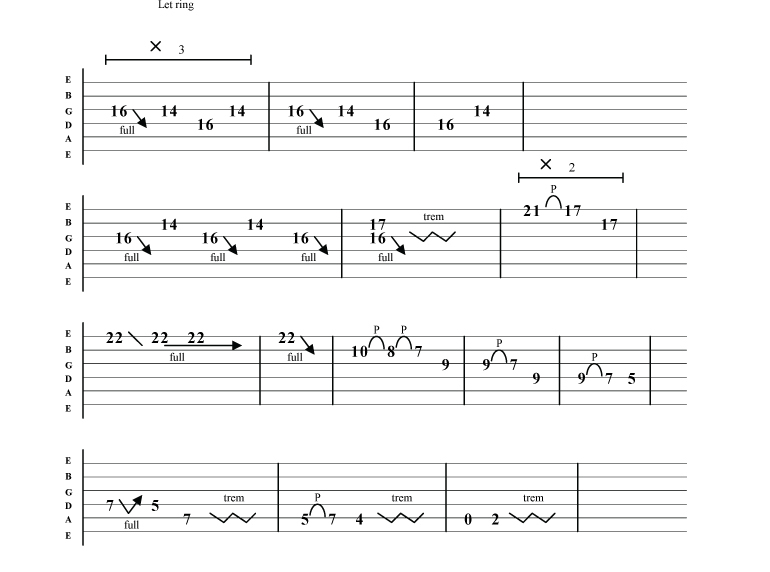 Free Metallica 'Enter Sandman' solo guitar tab . 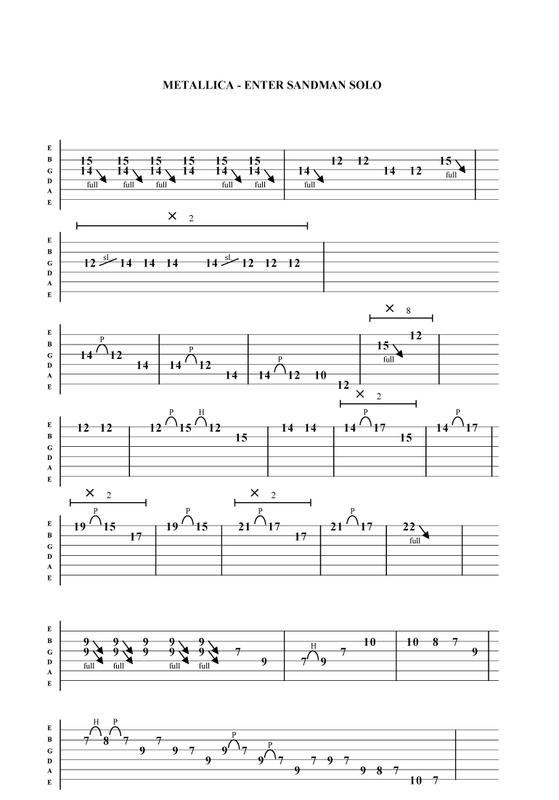 Click here for enter sandman you tube guitar lesson . Taken from Metallica's pivitol 'Black' album , helping Metallica to become on of the biggest selling bands of all-time , with little to know media help or airplay . 'Master of puppets' is a favorite album to alot Metallica's longer standing fans .